Cool racecar vector illustration. 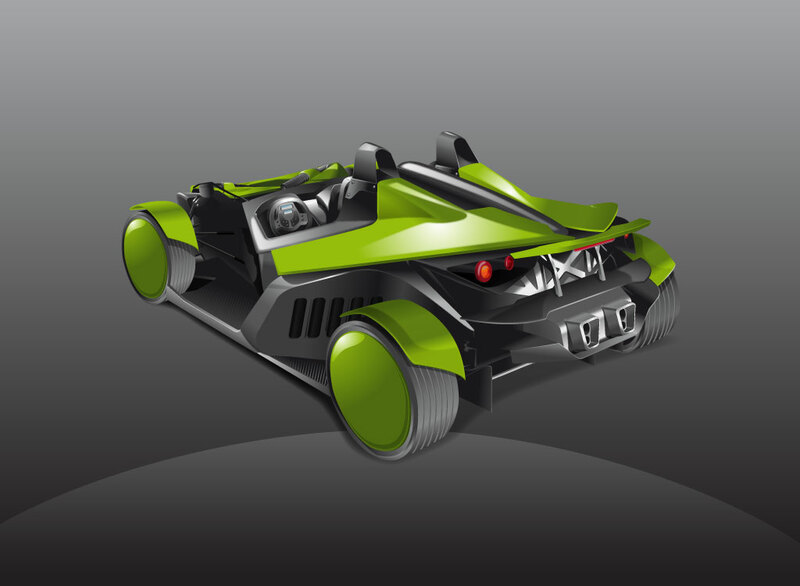 3D vector rendering of a highly futuristic looking two seat open top car or roadster with a lime green and black color scheme. Very detailed and realistic free graphic download that has a look of speed. Great pinup poster for sports car enthusiasts or an awesome element for a space age illustration. Tags: 3D, Auto, Drive, Future, Race Car, Racing, Ride, Space, Speed, Sports Car, Vehicle.